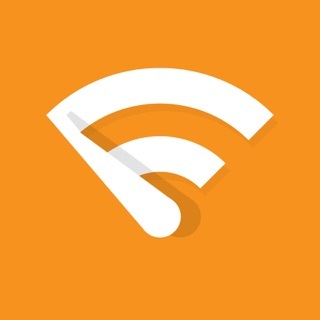 Is your Wi-Fi slow? 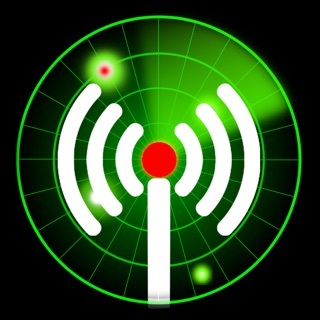 Do you want to know about black spots in your home wifi setup? 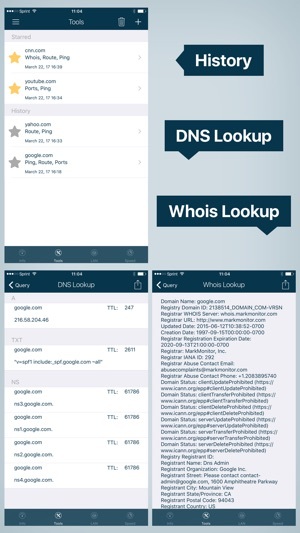 Ever wondered if someone’s piggybacking on your network without your knowledge? Look no further! ** Please note that as of iOS 11, applications cannot access and get MAC addresses from the iPhone. As a result, MAC address and Vendor name for found devices (in LAN Scan) cannot be shown. Frustrating right off the bat. Had a severe speed problem and needed to get evidence. Went to the speed twstscreen first and saw 'no history available' message. That helps me not at all. Then I saw the little 'start' link at top right. Touched it, nothing, touched a few more times, seemed to start. But when the network speed went to zero, with wifi signal good, instead of showing this as zero speed in the time graph, it just stopped the graph for the rest of the sample time, and gave a speed result under the graph that should have been a very low number, but it seemed to be the average of when the network traffic was flowing. Same for both down and up speed. I think this app was developed more for testing the performance of a fully working network and the dev did not consider how an intermittent data flow should be graphed. Now I have to just get a simple ping app and look for the failures across hundreds of pings. Thought this app would be better solution. Great helper for managing my home network as it grows. I use it regularly to search MAC and IP addresses of my devices. The interface is well designed and simple for my iPhone use and this app works without any errors. 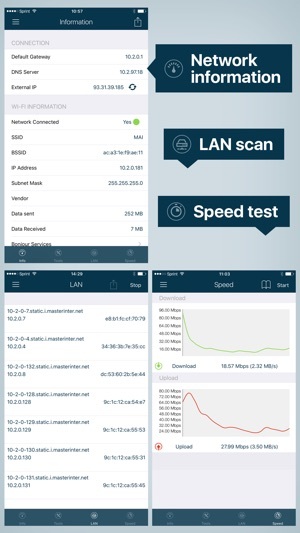 It’s a great basic networking app and a must have for any IOS user who needs to do basic checking about their network connection. It's great to hear that you are happy with our app. We will do our best to update it in the future. Thank you for your support! 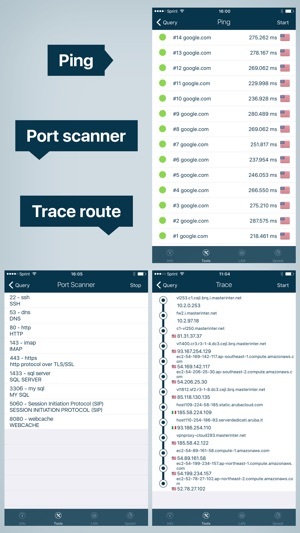 Great app for networking and connectivity monitoring. 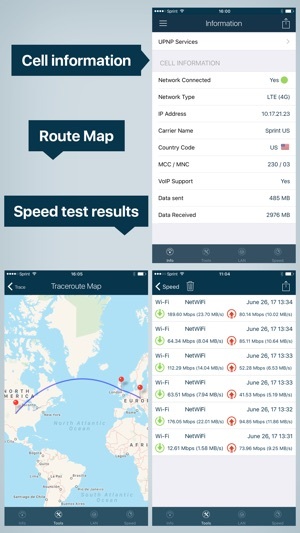 Helps me find connected devices to my lan network and also check network response time. Like the app.